So last week I was a CIT at SpringHill camps. (If you don’t know what CIT means it means counselor in training) If you don’t know what SpringHill is-!! I suppose I’ll tell you. It’s a very fun day camp hosted in churches around the Midwest. For more information on what SpringHill is, click here. The link is to the SpringHill website. 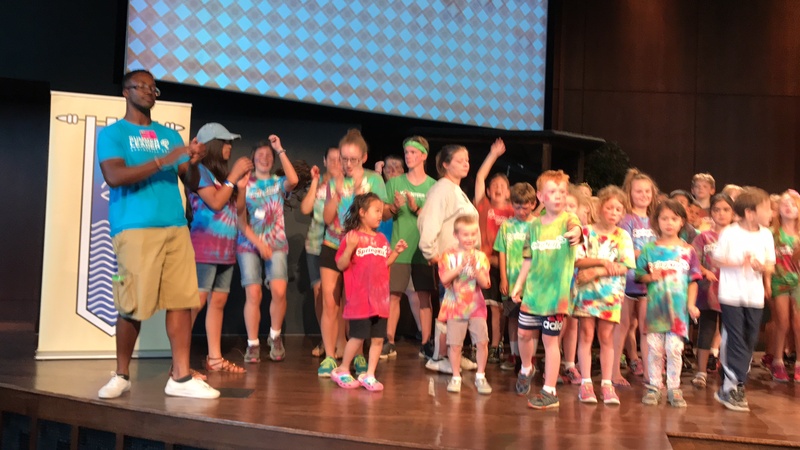 Campers get to worship and learn about God, tie-dye t-shirts, climb a climbing wall, a giant swing and so much more! If you’re hesitating about going, I would totally go! The counselors are very very nice, the skits are awesome, and you feel so included. I’m talking about this from a CIT perspective, but if you ask the kids, they will say that they totally loved it! If you’re hesitating on going let me tell you that you will have a lot of fun. And you should totally volunteer! The picture is a little blurry. Sorry. « New Item On My Etsy Shop!